Teacup Poodle. Copy right poppo. 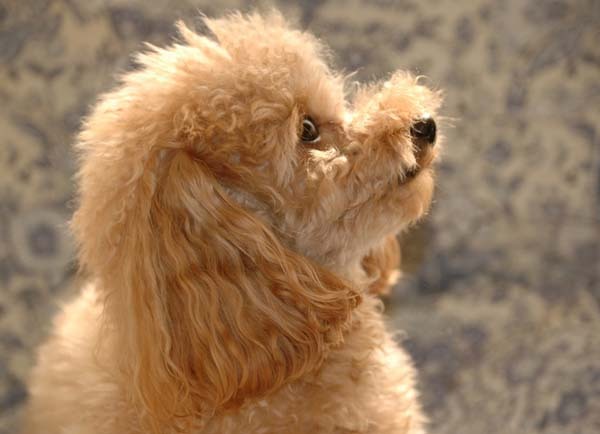 Early this week, IrisPet.com released “Popular Dogs’ Name Ranking 2009”. It’s interesting to see a trend in naming pets. The top name is “Momo”, and it has maintained the top chair since 2007. Momo means peach, very cute, and girly name. There are some sweets related names ranked in both boy’s and girl’s ranking, such as “Choko (chocolate)”, “Maron (marrons/chestnut)”, and “Cocoa”. For girls, flower names, and for boys, strong or grand names seem popular. The all names are short and pets can easily recognize their names.